Be sure to visit my French vintage fall tour 2017. 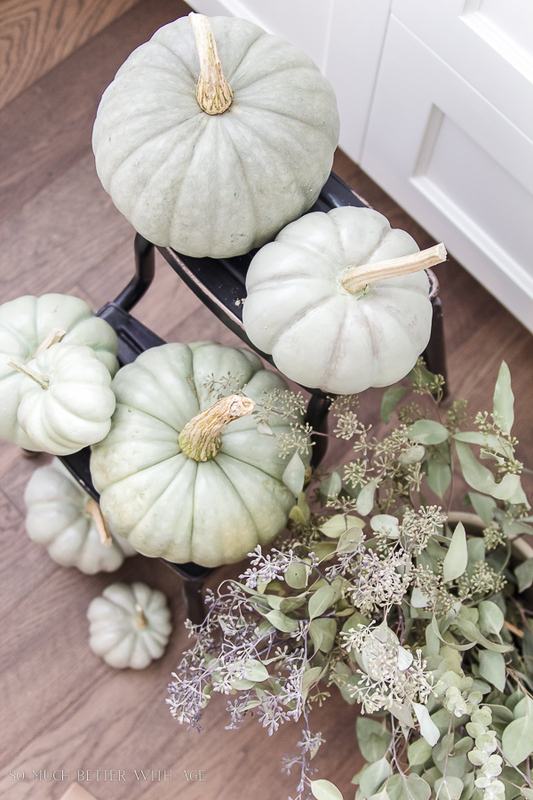 Fall is my most favourite time of year and it’s fun to decorate with natural elements. 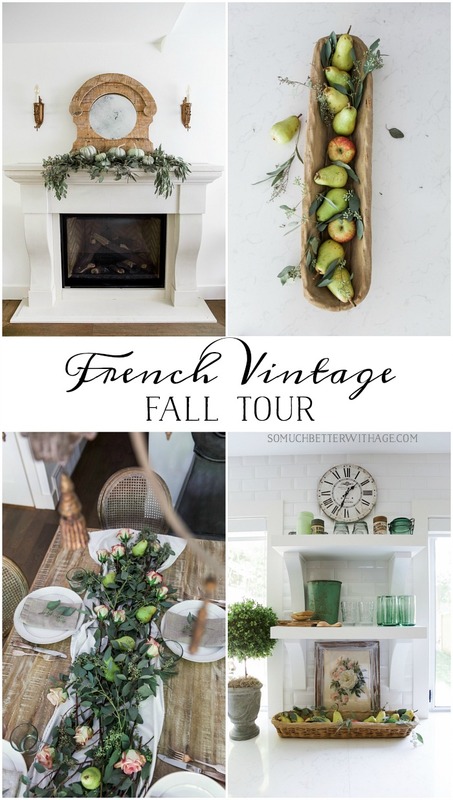 Since I decorated my home last year using non-traditional fall colors, I’m doing the same this year with my French vintage fall tour. Today I’m taking part in a fall tour, this one with all my Canadian friends. Thank you, Christina from The DIY Mommy and Shannon from AKA Design for organizing such a great group bloggers! I purchased this mirror in the clearance section of a local shop because the mirror had a large crack right down the middle. I replaced the mirror and did an an antiquing effect to the mirror which didn’t quite work out! I bought a new mirror for it, redid the antiquing effect and now it looks awesome but the post shows the old photos of the tutorial gone wrong. I will post new photos of it in that post soon but at least you can see the finished version here. These pumpkins are the DIY heirloom pumpkins I painted last year. I also have a tutorial with how to paint the light orange coloured pumpkins too. They are pretty similar to the real thing – can you tell the real from the fake ones? 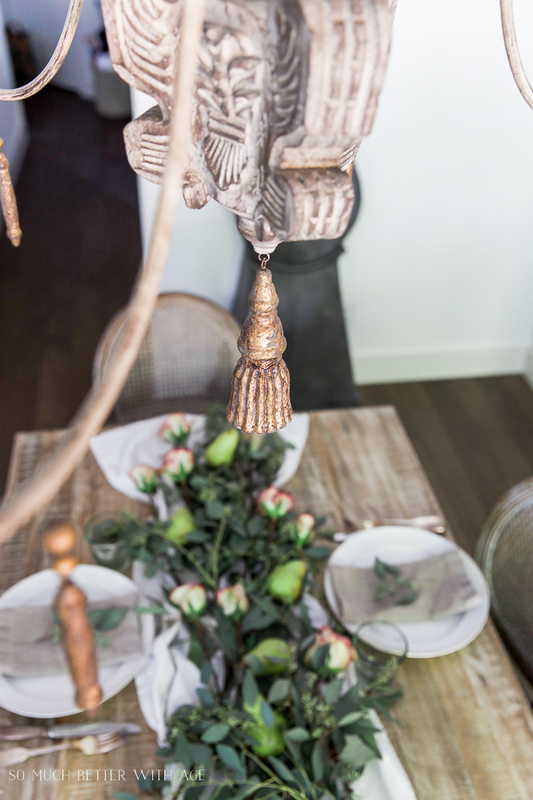 For my fall dining room, I decided on using seeded eucalyptus (my favourite green colour) and pears with roses to create a table runner effect down the middle of the table. Every year it seems I’m constantly running from store to store looking for white pumpkins and heirloom pumpkins before my fall tours (the tours always run in September) and it’s exhausting and I just didn’t have it in me this year. I thought to myself that surely my readers might have the same issue. 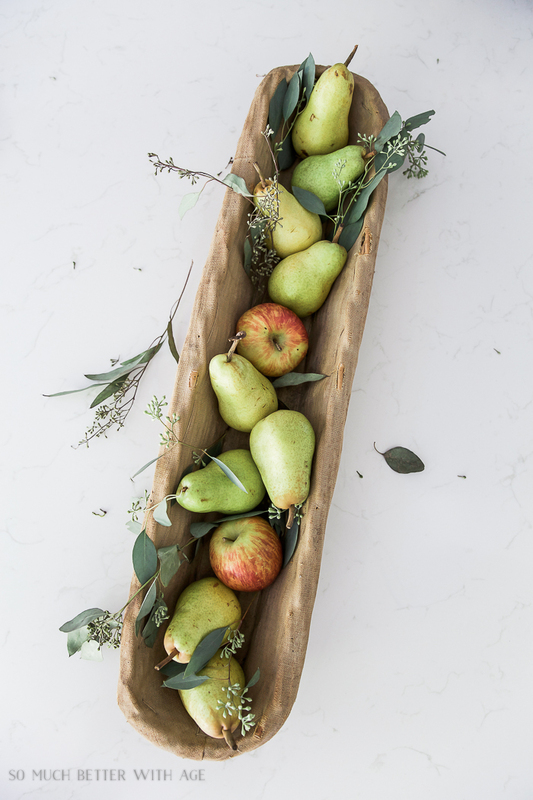 I decided instead to use pears/apples and seeded eucalyptus for the theme of my tours this year along with roses (because they’re just so pretty!) to make items that are ‘fall’ and available. Nothing like orchard fruit for fall. 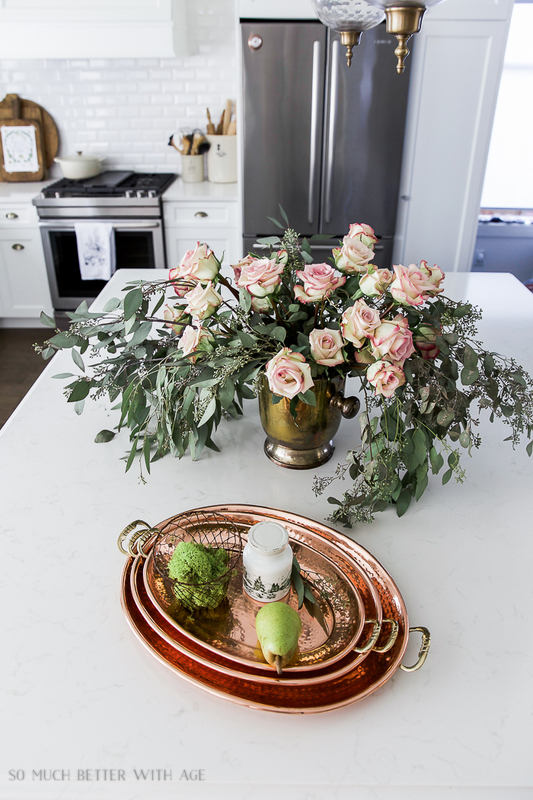 My kitchen started with a fresh clean slate and added more roses, eucalyptus, pears and apples. 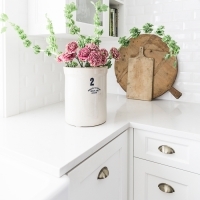 All the natural and wooden touches look so fresh against all that white. 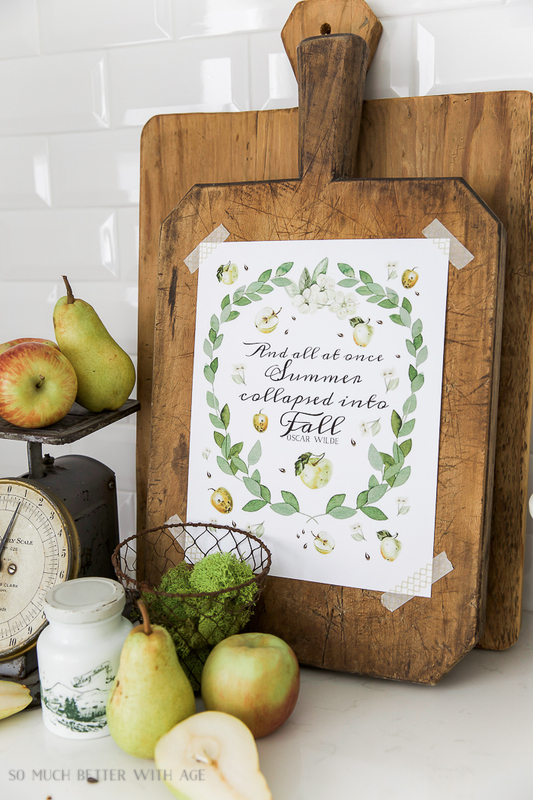 Here is a free printable for you with apples and eucalyptus and the best fall quote ever from Oscar Wilde, “And all at once summer collapsed into fall”. 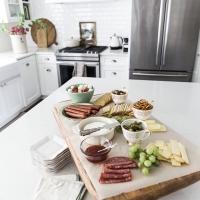 I just got these beautiful copper platters and I love the versatility with different ways to use them, for decor and for serving. 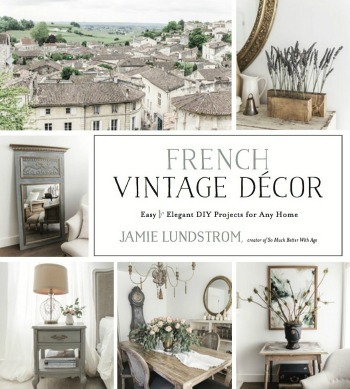 I’m so glad you stopped by for my French Vintage fall tour! Be sure to check out the rest of the Canadian fall tours below! This is amazing, I will take one of everything! I really did have to do a double take on those green pumpkins, excellent job! Happy Fall! I love all the natural decorating , i am not a fan of orange, just on the trees. Your mantel is wonderful,reminds me of all the old stone mantels i’ve seen in pictures of France. Thanks so much, Marlene. 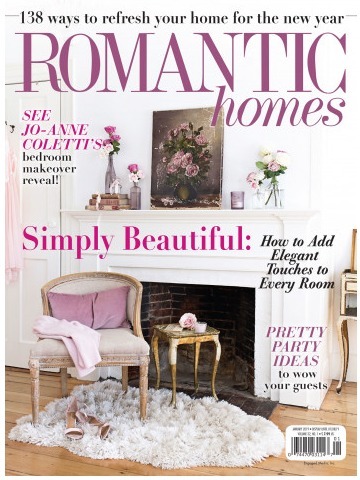 Yes, that’s what I was thinking too when I picked out that fireplace mantel. It’s made of concrete to look like limestone. haha, I know! Doing something different is always better anyway 😉 Thanks Shauna! What’s not to love Jamie, it’s all so perfect for what you portray. Frenchiness oh my. Am going to have to find some seeded eucalyptus, that’s all there is to it. Love it all. 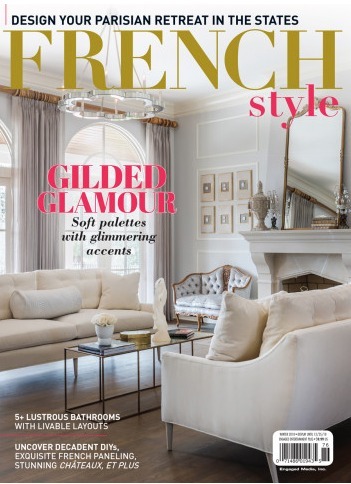 Am finding myself veering away from trendy cottage to more maybe French like in some ways. If we still lived in San Diego area could find some wonderful seeded eucalyptus growing wild in certain areas. Certain things I miss from San Diego. That old mirror is so quaint,love it’s difference. 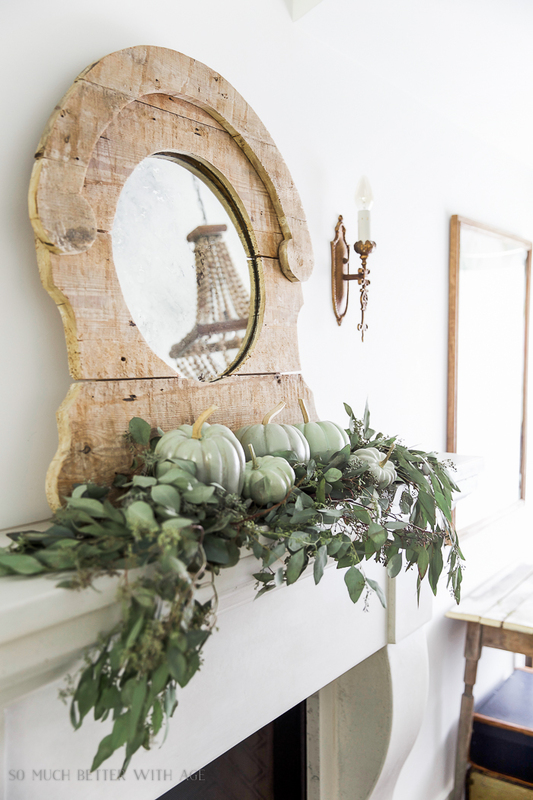 Love how the mirror looks with pears and eucalyptus, loose and welcoming. In my lifetime have slowly changed my style several times without realizing how or when .I find it freeing to change what I thought I loved before, slowly segue into other ideas. 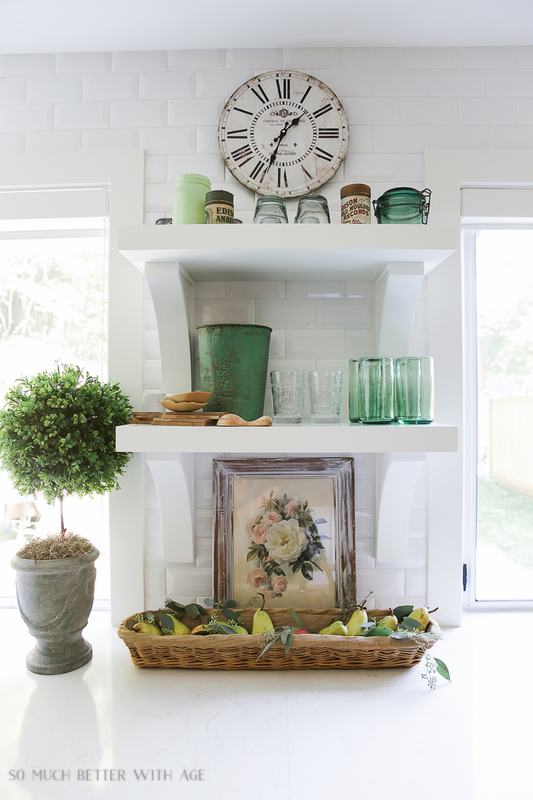 It is so freeing changing in small ways with decor and with things you love, isn’t it? I find it relaxing. I found this seeded eucalyptus at Whole Foods. It’s not always there but when it is, I grab a bunch of it! I also find it at a local shop. I love San Diego too! Your tour is so beautiful. 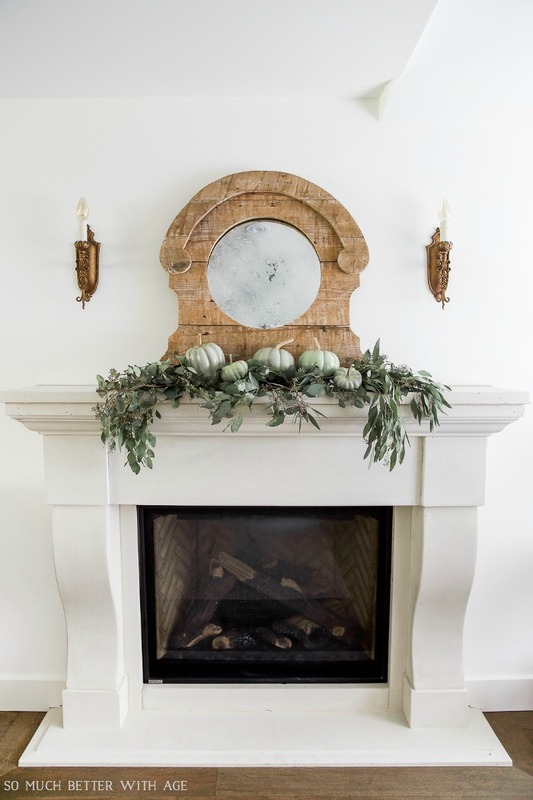 Love the pears and seeded eucalyptus, and the mantel with the pumpkins. So, so pretty! 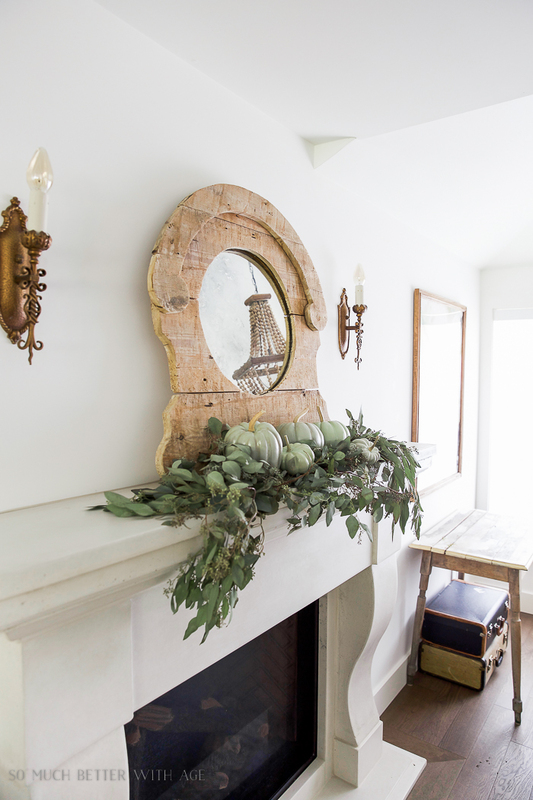 Love, love, love all the pears worked into your decor. And what a gorgeous kitchen you have, I wouldn’t mind cooking one bit in that kitchen! Thanks so much, Sonja! It’s definitely my dream kitchen. Yes, Jennifer! We need to get together. November? Thank you! 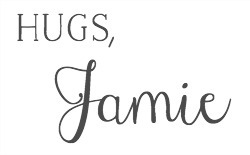 OH my Jamie, everything is stunning…I LOVE the eucalyptus, the roses, the pumpkins…all of it. Just beautiful. And I had the same issue as you…trying to find fall pumpkins in early September is tough!! Thank you, Jo-Anna. You’re too kind. Pumpkins are always so hard to find this time of year. Absolutely gorgeous, Jamie! Your styling and photography are stunning, as always! 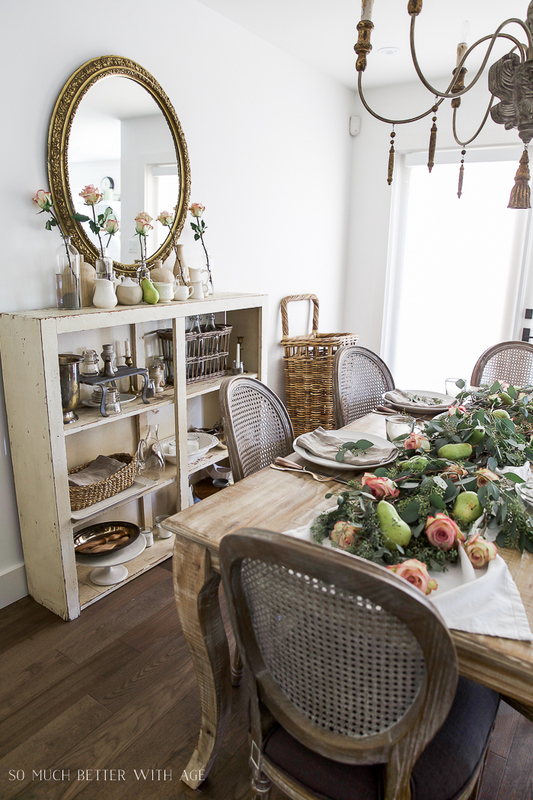 I love how you’ve given your home a perfectly fall feel but it’s still so light, bright, and airy! Absolutely BEAUTIFUL!! Thanks for the inspiration! Love all the soft greens you used everywhere! So refreshing, especially after the hot fall weather that we’ve had so far this year! Thanks Courtenay! I know, it’s been so warm in so many places, even hear in Vancouver which is rare. Stunning as always, Jamie! 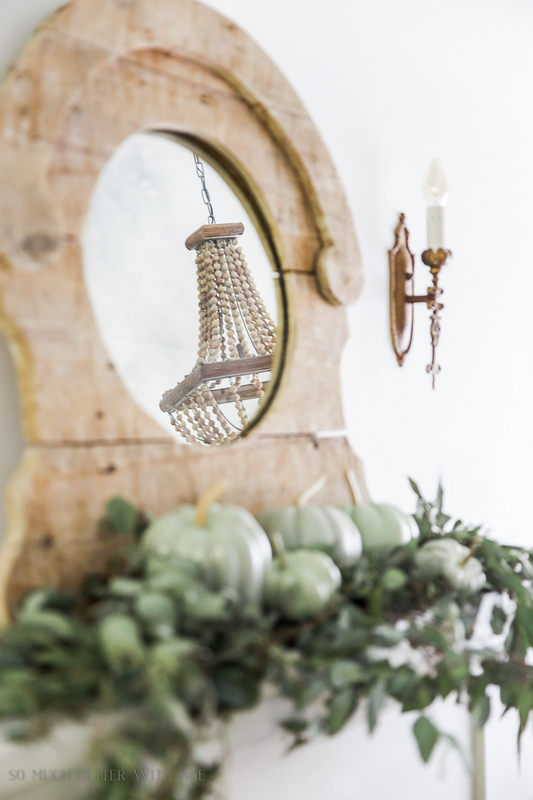 I love your mantel with that gorgeous mirror and pumpkins. 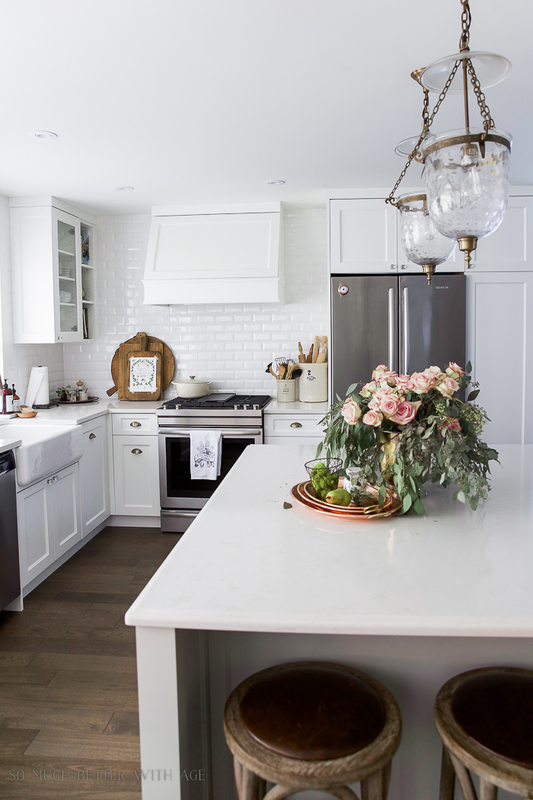 Your kitchen is just amazing too! Absolutely beautiful, as always! 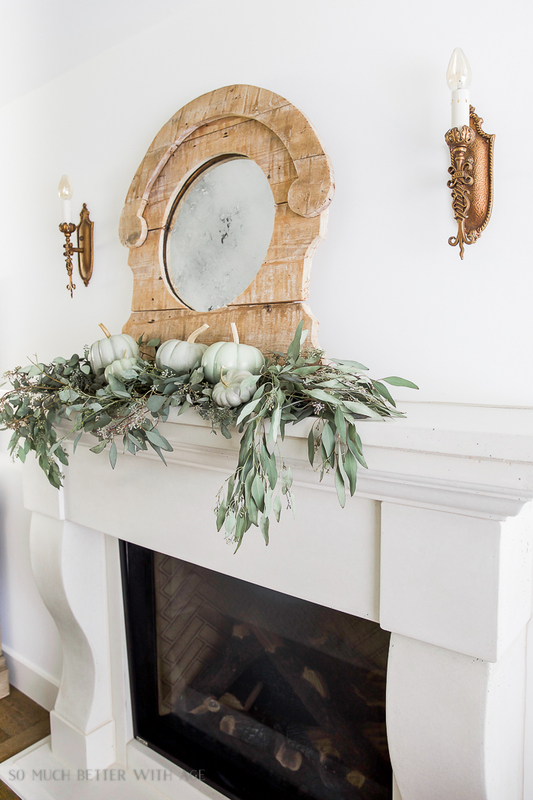 I am swooning over your mantel. 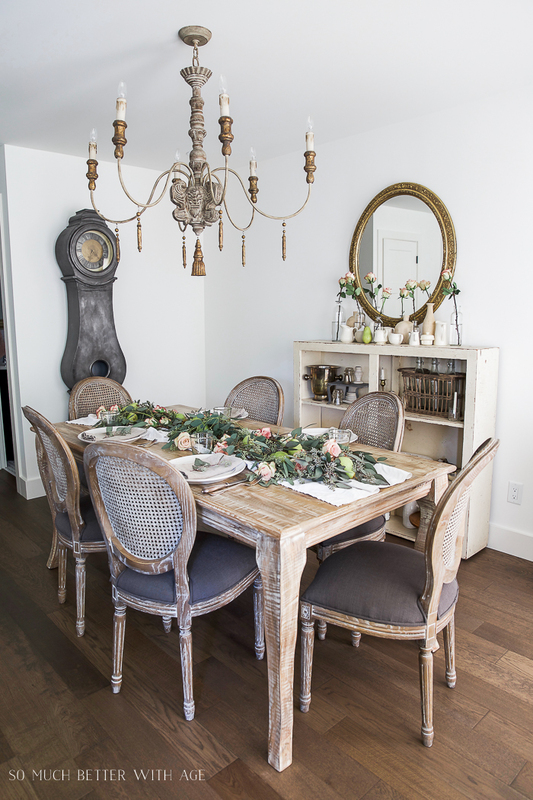 If I was to do french country I would want it to look like this! <3 Pinned! Awww, thank you so much, Chris. Thank you, Norma! I love the style too (of course) and would love to travel more to Italy and France. Jamie – your home is lovely and you have really made an amazing autumn transformation. 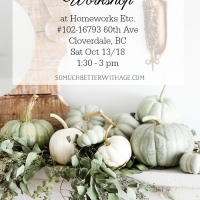 Only one thing bugging me – the scotch tape hanging up that Oscar Wilde printable…….I suggest taking a thin piece of twine about 12 inches….taping the ends to the BACK of your sign, and hanging it like a necklace over the handle of your awesome wooden chopping board. Just a thought. That’s the ONLY thing I’d change – everything else is spot on perfection. Thanks Michele! I love fall decorating. I didn’t use masking tape though. The tape I used was gold and white washi tape which I love to use for easy crafts, it probably doesn’t show up that great in photos but it’s really cute in person. 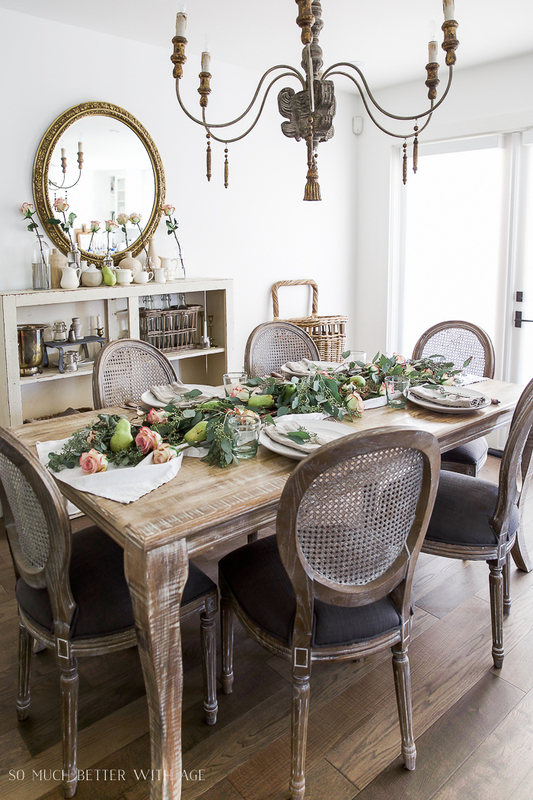 Jamie your dining room is gorgeous! The pumpkins really do look amazing. 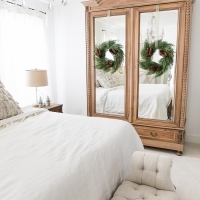 Love all the soft colors and the addition of pears! Thank you so much, Ola!